In honor of four female NC Police Chiefs (C.J. 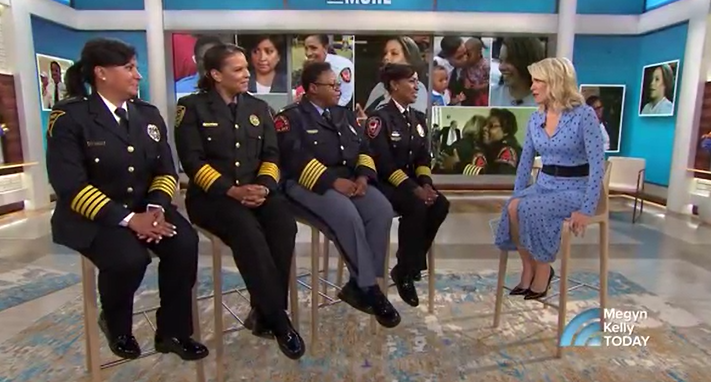 Davis, Cassandra Deck-Brown, Patrice Andrews and Gina Hawkins), Megyn Kelly announces live on the Today Show that they will receive a $20,000 scholarship donation to the North Carolina Law Enforcement Women’s Association from Bank of America. Charted in 1956 as a 501(c)(3) non-profit, we are committed to enhancing the professionalism of women in law enforcement, and promoting cooperation and coordination of activities among law enforcement agencies. 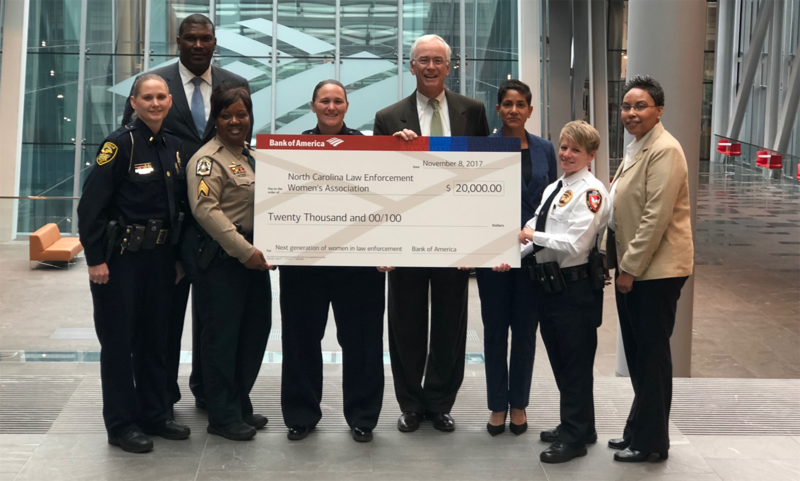 Members consist of sworn officers and associates of the criminal justice system from agencies throughout North Carolina. Members have the opportunity to attend the annual conference which gives them access to training that may not be regularly available. The annual training conference provides at least 24 hours of continuing education credits which may be utilized toward intermediate and advanced certificates. 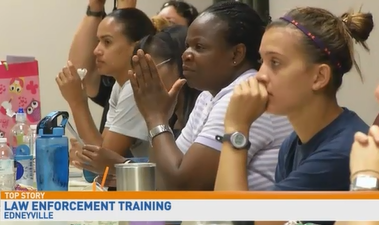 Through training and networking with other female law enforcement professionals, members are able to broaden their views and understanding of the criminal justice system. Having a broad, well-balanced understanding of law enforcement and the criminal justice system allows for members to better serve their communities and excel in their own careers. Board meetings are held quarterly across the state, and members are encouraged to attend to share ideas on ways to advance the role in which NCLEWA plays in the lives of women in law enforcement. If you haven’t already become a member, join now. As a member you have exclusive access to training and career announcements, the NCLEWA member directory, and online registration to upcoming events. 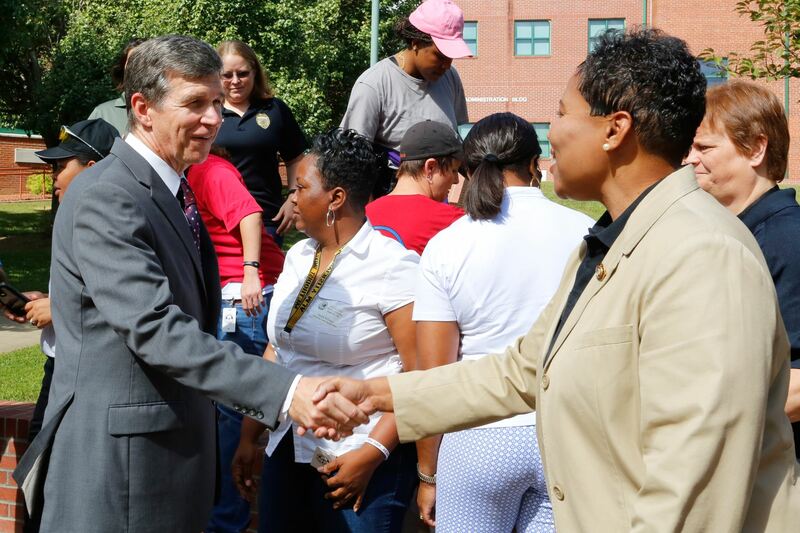 Enhancing the professionalism of policewomen in North Carolina. Promoting cooperation and coordination of activities amongst law enforcement agencies throughout the state. Strengthening the contributions of women to the field of law enforcement in the state. Providing a forum for discussion of means to attain the above objectives.